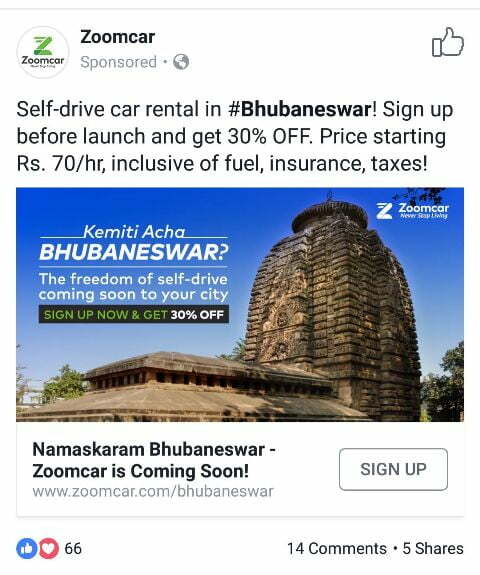 Zoomcar, a 100 per cent self-drive car rental company, will soon be launching its services in Bhubaneswar. A few self-drive options, where you can hire a car and drive it yourself, such as Myles, DriveurWheel, Carzonrent, etc are already available in the city. According to Zoomcar site, the company offer cars on an hourly, daily, weekly or even monthly basis. The service is already available in most Tier-I and Tier-II cities of India. The whole process of booking to picking the car, unlocking and submitting is tech-enabled. It usually charge a refundable security deposit of around Rs 5,000 and the charges for a hiring a small car starts from around Rs 70 per hour, inclusive of fuel and taxes. The options are plenty, from Tata Nano to Mercedes and Audis. Sauhitya Garabadu, a product manager working in a leading telecom company in Mumbai, loves driving and swears by self-drive options. “Hiring a Mercedes for around Rs 5,000-Rs 6,000 a day is an excellent option for a weekend drive. It’s great for people who can’t afford luxury cars and drive these without bothering about their maintenance. It also allows you the option to choose from so many different brands and variants,” he says. With Zoomcar coming to the temple city and considering the number of ride sharing and self-driving options available, will there be a shift in attitude of people clamouring to buy the latest brand. Well, only time will tell.